Ed and Norma Mitchell founded Mitchells of Westport in 1958. After graduating from college, Bill was the first of Ed and Norma’s lineage to join the family business in 1965. Originally a men’s and boy’s shop, Mitchells added women’s collections in 1969, and along came Jack, Ed and Norma’s son to lead the women’s department. Ten years later, Mitchells moved to its current location on the Post Road. Greatly expanded in 1992, the store is now 27,000 square feet, 30 times its original size and underwent renovations completed fall 2003. In 1995, Mitchells acquired Richards, an upscale men’s store in Greenwich. In 2000 they opened an expanded new Richards of 27,000 sq. ft. and added women’s wear to their collection of fine men’s wear. In 2006 they acquired Marshs in Huntington, NY and in 2009 acquired Wilkes Bashford in San Francisco and Palo Alto, CA. There are currently nine family members active in the business: Ed and Norma Mitchell’s sons Jack and Bill, as well as Jack's wife Linda in addition to the third generation who are also responsible for many functions and operations: Jack's son's Bob, Russ and Andrew as well as Bill's sons, Scott, Chris and Tyler. It is a family tradition to be active and give back to the community with their time, expertise, financial support and use of their stores for events. In his day, Ed was actively involved with Westport Rotary and Chamber of Commerce. For years Linda was on the Wilton Board of Education. Bill and Jack have been long standing participants on Bank Boards and involved with local charity efforts. For example, Bill and Jack have been leaders in the philanthropic efforts for the Inner City Foundation, The Westport YMCA, CancerCare, ADL, and hundreds of other charities. The third generation of Mitchell’s continue the family tradition combining fashion and philanthropy staging special events and donating proceeds to local and national charities. For the Mitchells, giving back to the community is a whole way of life. 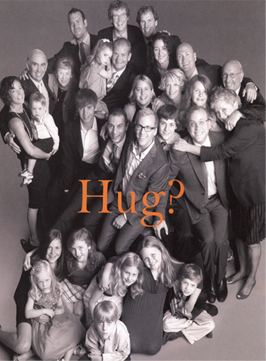 The Mitchells have successfully combined strong family values with good business sense as they hug their associates and their customers one at a time, each and every day. The finest high-end men’s and women’s specialty stores.